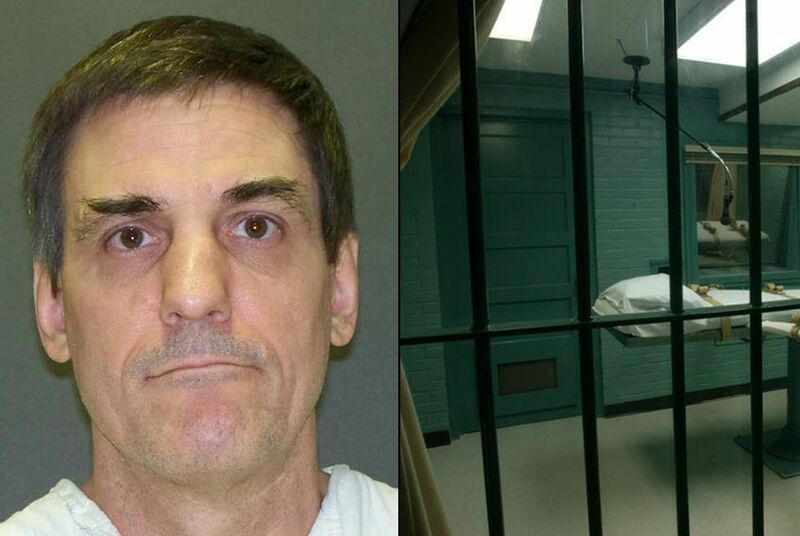 In late September, Texas' efforts to execute Scott Panetti passed the 20-year mark. Whether the state will ultimately be allowed to put him to death remains unknown. But if nothing else, the unusually complex and protracted path Panetti's case has traveled through state and federal courts illustrates how few safeguards Texas has to protect mentally ill killers from being executed. "If you're going to have a capital punishment system, we can't run it this way," one exasperated federal judge said during a recent hearing on Panetti's appeals. "You're not going to have capital punishment." Panetti is trapped in a vexing legal bind. A diagnosed paranoid schizophrenic, there's little question that the Wisconsin native has suffered varying degrees of mental illness at different times in his 57 years. To be executed — under a standard set by the U.S. Supreme Court in one of Panetti's previous appeals — he must be cogent enough to understand that he's about to be killed and why. But Panetti's mental state hasn't been formally assessed in about eight years. He can't afford an attorney and expert to help determine if he meets the constitutional test — and argue against his execution if he doesn't. The state won't help, because it wants compelling evidence before holding a hearing on his competency. His case is now before the U.S. 5th Circuit Court of Appeals, which stayed his most recent execution date in 2014. The court is weighing whether to order a lower court to give him a lawyer and money for a mental health expert to evaluate him. Two lawyers with the Texas Defender Service are representing Panetti in 5th Circuit proceedings. They contend he is not competent to be executed and want to be appointed to help him make that argument in the lower court. Panetti's fate has been in and out of court since he shot and killed his second wife’s parents in 1992. After a capital murder conviction and death sentence, his appeals have explored a history of severe mental illness — his first schizophrenia diagnosis came in 1978 — and tales of relentless, religious delusions that have persisted over the years. Panetti should have access to counsel and mental health experts during the entire appeals process, or at least as early as possible, several lawmakers and attorneys not connected to the case agree. Their takeaway: Texas needs to clarify its execution laws. The state's unwillingness to provide Panetti resources impedes his right to due process under the law, said Kathryn Kase, one of his attorneys and executive director of Texas Defender Service. He should be appointed counsel and given funds for a mental health evaluation to help develop his claim that he doesn’t have the competency to be executed, she said. The Texas Attorney General's office would not comment on issues raised in Panetti's case, pointing to its filings with the 5th Circuit. In them, the state argues that the federal appellate court does not have the jurisdiction to hear Panetti's arguments and should revoke its stay of execution and let him seek relief in state courts. More than 20 percent of Texas death row inmates have been classified as mentally ill, and guaranteeing them due process applies to competency hearings, said Robert Dunham, executive director of the Death Penalty Information Center in Washington, D.C. If someone is indigent, the state is obliged to make necessary resources available, he said. Not providing access to counsel and a mental health evaluation before a hearing is a catch-22, said Jack Stoffregen, chief public defender with Texas Regional Public Defenders for Capital Cases, which represents indigent defendants in capital murder cases. State Sen. Rodney Ellis and state Rep. Garnet Coleman, both Houston Democrats, said the state should provide indigent death row inmates access to counsel and mental health experts if they want to argue their incompetency. Panetti's legal team is also raising questions about discretion individual judges have when deciding if someone should have a mental health evaluation. Panetti's lawyers contend that in a similar case, that of Marcus Druery, the trial court in which he was convicted granted counsel and funds for a mental health expert to investigate if there was merit to his competency claim. Panetti didn’t get the same simply because his case was before a different judge. Where there are 464 district courts — the state trial courts that hear capital cases — there can be just as many processes used by judges to grant or deny counsel and experts, Kase said. “That speaks to the fact that, one, we don’t have any statute requiring that in the state of Texas, and that means when there’s not a written statute, it falls to the individual practices of individual judges,” she said. It’d be hard to legislate away discretion, but the process by which judges determine competency can be streamlined or cleared up, other attorneys say. When the question of competency is raised, an evaluation could be automatic, Stoffregen suggested. Judges would still have wide discretion over reviewing the evidence presented to them. These questions might inspire legislative action, said state Rep. Joe Moody, D-El Paso.